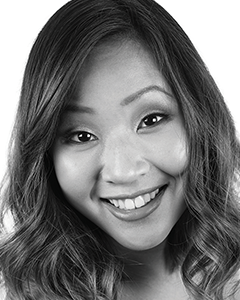 Andrea Chan, established choreographer, dancer and teacher, is the Assistant Director of The Dance Collective. Andrea holds a Bachelor of Commerce and a Diploma of Education (Primary) and is currently one of Perth's most sought after choreographers within high schools and primary schools. She has recently choreographed and performed for Jessica Mauboy, danced alongside The Veronica's, So You Think You Can Dance finalist Nick Geurts and has appeared in television commercials, the musical Countdown Spectacular and other top events around Perth. Her respect as an educator has led to her designing the dance education program for the West Australian Ballet and being on the selection panel for the Gifted and Talented programs for the Department of Education and Training. Andrea is versatile in Lyrical, Contemporary, Ballet, Jazz, and Hip Hop.